In Italy, it is practically impossible to fire someone once hired at work. 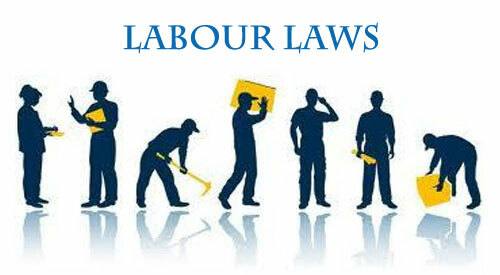 The labor law is rigged. People are simply guaranteed job for a lifetime of fat pays and benefits. The inefficiency of the system has brought some absurdities which are happening in the country right now. In Europe’s least labor competitive economy among the major markets, some banks trying to get away with staff they do not want, but cannot fire, have started telling them to bring family members that will replace them. So, they come with a family member, they retire and that person becomes a new staff of the bank. With that, how do they expect one of Italy’s top banks, Intesa Sanpaolo, to compete with giants like UBS and RBS? Africa must not get inspired by the Italians despite the avalanche of labour and industrial strikes across the continent. Italians strike a lot, mostly on Mondays and Fridays to extend the workers holidays/weekends. Africans do not do that a lot, though we do strike, which is necessary. Our own is largely to root out injustice and righting things well with employers, and we must not take it to sorry state as Italians have taken labour and industrial disputes, otherwise, we will have a broken system that will surely undermine competitiveness. This is not a battle where staff win, management lose. African moguls are not good in rewarding their staff with living wages and we have the right to ask for more. But when it changes to undermine a company, everyone must know that all is at risk, including the jobs that offer the opportunity to strike in the first place. What goes on in Italy must not be close to African shores because they have a truly obsolete labour laws that had place only in the industrial era. The efficiency in labour comes when there is flexibility to add talents and when necessary for the economy to deploy them to where they can perform better. If we lose that, the 21st century cannot work for us. That someone is hired as a banker when the system would have redeployed him to a trader, if it is noticed that he cannot be a banker, is important for capitalism to work. It is about having a fluidic system where labour mobility is high. We Africans must not change that – rather, we must work hard that anyone that needs work will find one through creating more opportunities. Making that possible will require allowing the alignment of labour through laws that do not stifle innovations and competitiveness. Italy is broken. Companies are not just stymied by the sovereign debt crises, they are out-competed by other EU peers.